Mr. Joaquin Molas from South America flied over the half of globe and visited EverExceed’s battery and solar module plants..
As his words saying, IMPRESSION. After his visiting EverExceed’s advanced equipment, top level critical material and perfect large-scaled production line, he gave EverExceed his feeling. EverExceed invest a lot of fund on solar module business, this is bright new energy field, would be more and more popular in the near future around the world. Precision equipment from Europe for testing the solar cells inside to ensure no injury of the cell, advanced automatic equipment to highly improve the production capacity, world-class level critical material give the solar modules with high quality performance, etc. 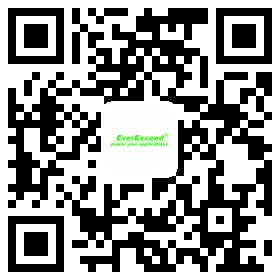 EverExceed's Cautious attitude and professional skill give her clients more confidence and assurance. Mr. Joaquin Molas was excited and said, South America was a big market for solar energy because their unique topography and climate, more wind and sunshine contribute the solar market growing fast. Let us wish the relationship between EverExceed and Mr. Joaquin Molas will be more closer. Here we share some pictures of our solar panel factory for your reference.